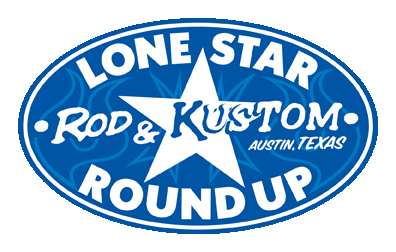 The Lonestar Rod and Kustom Round Up is a huge outdoor car show and live music festival in Austin, Texas with tons of vintage hot rods and custom cars driven here from all over the country, and bringing visitors from all over the world. They have some amazing bands onstage playing for you while you check out all the incredible rides. Find first-rate artwork created by some some seriously talented artists and pinstripers. Enjoy some one-of-a-kind shopping and services with our lineup of unique vendors. In the rodeo barn - they put together a big swap meet where you might find that perfect part, vintage collectibles or a project you've been looking for, or even a new (old) car to drive home. And there are daily mini-bike races tearing it up on the dirt oval. Enjoy some great food from local vendors, and share a few cold drinks with your friends and family as you experience the best weekend all year. The Lonestar Round Up goes on rain or shine. Tags: Austin hot rod car show April.